Joey Getchie has been property of the state longer than he was in parental custody. But he's a survivor, and he has a Plan: graduate high school and get out of the foster care system before it eats him alive. He bonds with Trisha, another foster, who seems to have lucked out when it comes to foster parents. A false accusation leads to a physical clash with his foster father, so Joey flees to Huntzel Manor, where he works part time. He takes up unauthorized residence and keeps a low profile, hoping to avoid attention. But attention arrives in the worst possible way: a classmate is seriously injured in a hit and run accident, and Joey becomes the focus of the investigation. Why shouldn't he be? He had a violent confrontation with the same classmate just last year. And of course, he's a kid with a criminal record. Except of course, he isn't. 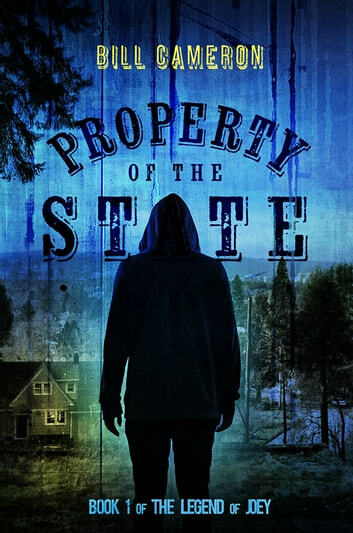 Property of the State, first in The Legend of Joey series, is an edgy teen mystery featuring a world-wise protagonist struggling to grow up in a world where parents are the bad guys.